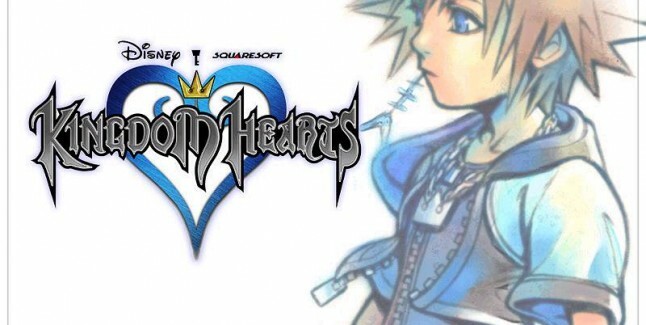 Next at number 16 we have Square’s action/role-playing game for the PS2 Kingdom Hearts, an enchanting game that effortlessly marries iconic Square and Disney characters together! 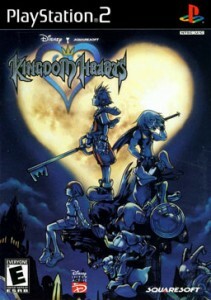 Square’s 2002 action, role-playing game for the PS2 platform – Kingdom Hearts. When a supernatural storm transports 14-year-old Sora to a distant land, he sets out to track down his missing friends. Teaming up with Court Wizard Donald and Captain Goofy, we join Sora as he embarks on a valiant quest to find his friends and defeat the evil ‘Heartless’! An unusual combination of action and role-playing and a harmonious mix of Square and Disney elements really puts Kingdom Hearts in a league all its own. This imaginative title full of love, fun and action, sits firmly in our count-down of Top 25 Must-Play Video Games! What really makes Kingdom Hearts stand out from other games is, of course, the blend of iconic Disney characters like Snow White and Jack Skellington with equally iconic Square Characters such as Cloud and Wakka! The story, above all, is about friendship and the idea that no matter where you are, you share the same sky as everybody else. It’s a powerful message that houses the Disney ideal beautifully. The square characters are also an inspired addition; vibrant and fun, characters like Yuffie and Aerith slot right in amongst Mickey, Donald and Goofy! This union of such ‘super-franchises’ definitely works in the game’s favor! The gameplay also blends elements of role-play and bloodless hack and slash action. Role-play features from previous Final Fantasy titles such as using experience points to level up your character are used. But these gameplay mechanics have been simplified a great deal, which surprisingly works well! Kingdom Hearts takes away the difficulties and hassle of complicated skill sets and point systems; it focusses on simpler mechanics and creating challenge by throwing in battle action. Battles themselves are bloodless and you always fight on the side of your Disney heroes against the evil ‘Heartless.’ Most of the challenge spawns from boss battles, puzzles and searching for paths to proceed or items to collect. Having this juxtaposition of simpler role-play mechanics and challenging battles makes Kingdom Hearts a game that can be played by many! To parents who are put off by violent, gory video games, Kingdom Hearts is a great title to get your youngster involved in story-telling at its best. 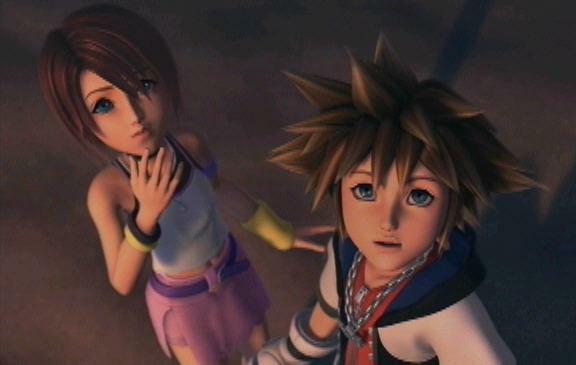 Kingdom Hearts has a kind of innocence about it that includes the player in an overall feeling of unity. A game that can be played by adults and children alike, this game shouldn’t be missed and is a wonderful addition to both the Square and Disney franchises.